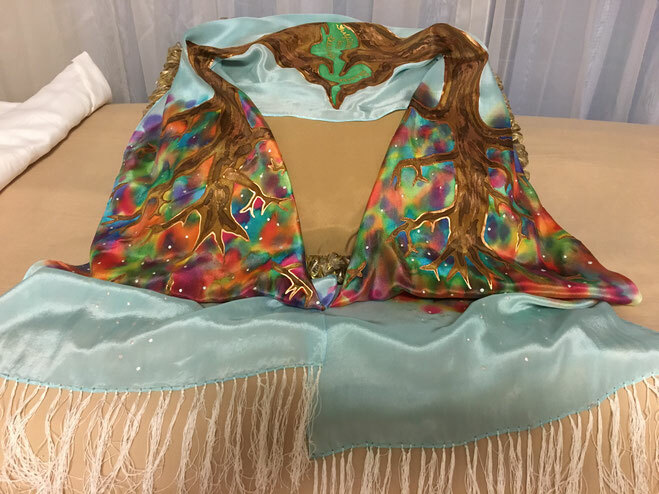 Tree of Life Scarf - 3 Strand Cord Silks - Glowing Silk Flags & Billows based on the Bible, Jesus and His Church, to enhance your worship of God! 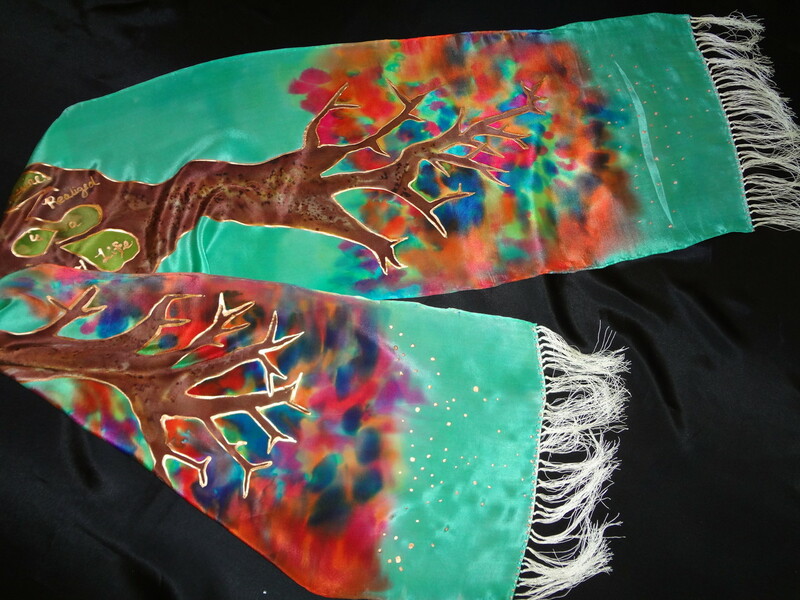 The Tree of Life Scarf - extra long. Hand dyed, glorious and beautiful, full of vigor and joy! 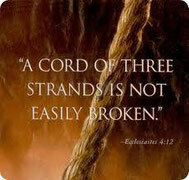 Scripture nestled between the roots of the tree is Proverbs 13:12 - "Desire fulfilled is a tree of life".